Photo ID: GCSnow2993.jpg South Rim of the Grand Canyon in winter. View from Mohave Point (6,800 ft high). 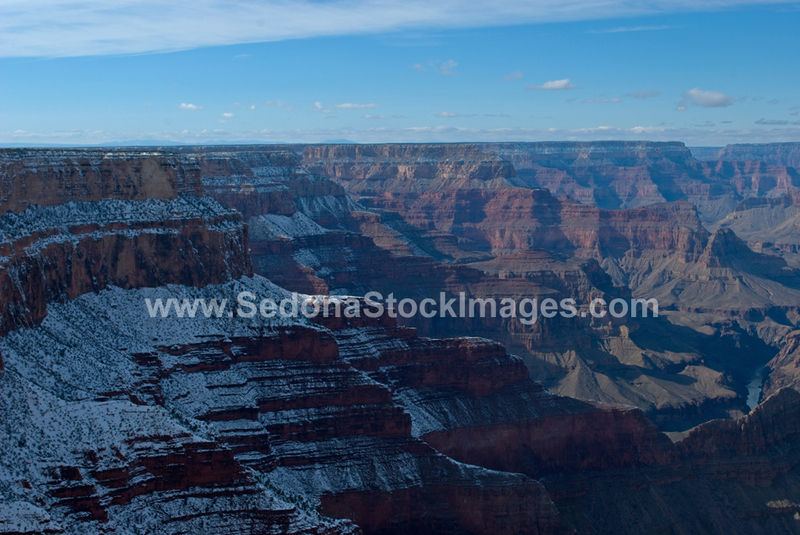 The Grand Canyon is truly breathtaking and is even more magnificent with a winter snowfall. The Grand Canyon began when the Colorado River started carving through the rock layers 5 or 6 million years ago.